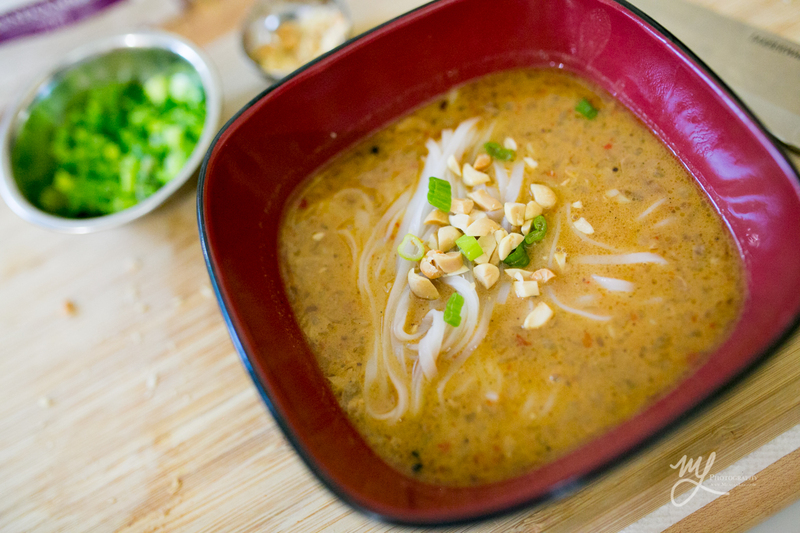 A spicy peanut noodle soup inspired by the one at Spicy Noodle House in Osborne Village in Winnipeg. Did a “taste it then make it” date with my wife, and made the soup a week later. The level of heat can be adjusted by using more Sriracha sauce. Partially ground Sichuan and Black peppercorns.